Knowledge about the brain is growing at an exponential rate, but how do you take that knowledge and put it to immediate practical use? How do you think more clearly, feel better in your body, and get more done with less effort? Our society has greater material comforts and physical health than any time in history, but mental and emotional health haven’t kept pace. We live longer but rates of ADHD, depression and age-related cognitive problems have all increased. BrainTime was developed to change this by helping people to Build A Better Brain with technology that has been clinically tested over a twenty-year period. Six clinical cases demonstrating BrainTime’s effects were presented at the International Association of Functional Neurology and Rehabilitation annual conferences, and later published in the Journal of Functional Neurology, Rehabilitation, and Ergonomics. A 59-year-old man was able to open his hand, palm up, for the first time since suffering a stroke 14 years earlier. A 12-year-old girl had improved vision and better math scores two years after a concussion. A sophisticated EEG analysis showed 29% improvement for a 62-year-old woman after she listened to 5 minutes of BrainTime. A 58-year-old woman found relief from interrupted sleep and daily headaches. An 85-year-old woman was able to keep her balance without a cane and bring food to her mouth without spilling after suffering balance difficulties and a tremor that made it hard to eat. A 29-year-old woman found relief after two years of daily migraine headaches. Our next frontier is the functioning of your brain. You need to know about new discoveries that can make your life better! Your brain effects these conditions for better or worse. Ignore your brain and you risk spending time and money looking for answers and solutions in the wrong place. Support your brain and get the results you want in an easier, faster manner. Most often the problem is not in the parts – they aren’t broken. The problem is the connections. The parts aren’t talking and cooperating. In neuroscience, this is the field of functional connectivity, which studies patterns of communication in your brain, and how they contribute to health and disease. The functional connections in your brain effect every aspect of your life. 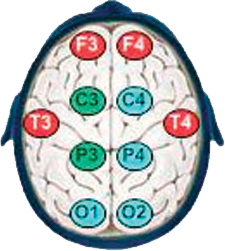 Functional connections facilitate memory. Memory is like a puzzle. You connect pieces of information to complete the memory, and you do this by means of functional connections in your brain. When you see a friend on the street you recognize their face on the right side of your brain and remember their name on the left side, and these pieces come together to form a complete memory. If you recognize someone but can’t remember their name or how you know them it’s a matter of poor coordination in your brain – the information is there but you can’t put it together until five minutes later when it pops into your mind. Functional connections regulate sleep. One part of your brain wakes you up and another allows you to sleep, and the two areas coordinate their activity so you sleep and wake in an easy natural way. They do this with shifting patterns of functional connections. If the sleep and wake circuits in your brain don’t communicate smoothly your sleep and health suffer. Functional connections effects your ability to handle stress. One part of your brain mobilizes a “stress response” to deal with challenges and another turns the stress response off to facilitate rest and recuperation. You need to turn on the stress response and then turn it off to meet challenges gracefully and effectively. The process is smooth and automatic when your brain works well. How does your brain send messages? The axons and dendrites between your brain cells are the foundation of the communication system in your brain, but how they work, the functional connections, is the key to optimal function. Brain cells are profoundly social creatures. They like to talk with each other, and each brain cell connects with thousands of other brain cells via a shifting pattern of functional connections. Brain cells like to talk with each other, but this can be tricky because they turn on and off. When they’re “on” they can listen and talk with each other. When they are “off” they’re deaf and mute. This cycle of “on” and “off” happens many times a second for every cell in your brain and can make communication a challenge! Your brain cells have to time their messages very precisely to make sure the messages don’t fall on deaf ears. They slow down or speed up to come into step with each other so they’re on at the same time and off at the same time. Your brain cells are like dancers that shift dance partners. Everything you do requires a different pattern of communication in your brain with a new set of brain cells that talk with each other. Brain cells are constantly adjusting their rhythms to come into and then out of step with a new set of partners. In technical terminology the cells in your brain display shifting, task-dependent patterns of coherent oscillations. You can read more about this on the Differences page of this website under How BrainTime Works. Every function in your brain depends on precise timing. This is a revolutionary understanding with important implications, and that’s where BrainTime comes in. BrainTime is a patent-pending process that uses precisely timed stimulation to help your brain work better. You listen through headphones to gentle, precisely timed sounds that nudge your brain into a healthy style of function. BrainTime is the first and only program to directly improve your brain’s ability to send well-timed signals that coordinate the different parts of your brain. That’s the most important skill in your brain, the foundation for everything it does, and a skill that can be damaged by any number of injuries and stressors. You can’t afford to ignore your brain – it’s the biggest factor in your well-being. If you fail to address your brain you’re likely to suffer unnecessarily and work harder to get less done. Support your brain and get the results you want in an easier, faster manner. Start BrainTime. We guarantee your results.